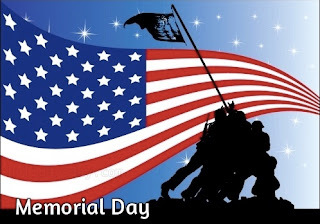 FMB: Memorial Day May 28. The Fairbanks Music Boosters are holding their first apparel sale in many years. Click on the link to see the brochure, then follow the second link to place your order. 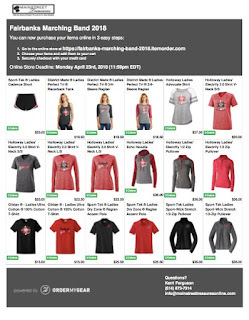 All orders must be placed by midnight, April 23.